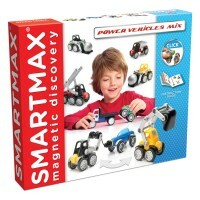 Now you can not only build 3 cool construction vehicles from the 53 magnetic click-on pieces, but operate them through the wireless PowerClix app from a smart phone or tablet. 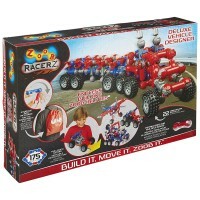 PowerClix Vehicles get cooler and cooler! 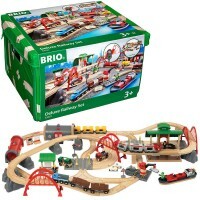 Now all kids' favoirte magnetic building set is available in an app-enabled wireless edition. 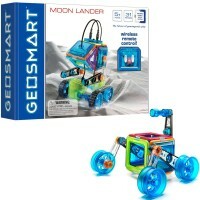 PowerClix 3 in 1 Wireless Construction Vehicles Magnetic Building Set from GuideCraft is a great modern building toy for preschool and older children. 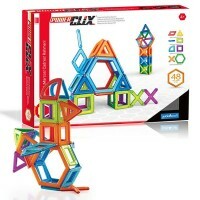 Featuring PowerClix quality magnetic system with its strong connection, bright colors, fun shapes, easy snap-on assembly, and open-ended construction, this Educational Toys Planet's building kit is boy's dream gift. 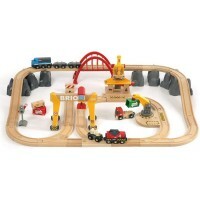 This magnetic building toy allows kids to build 3 cool construction vehicles: dump truck, front loader and bulldozer. 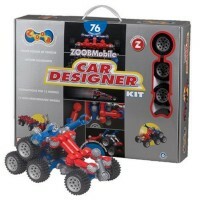 Children can follow the instructions and build the vehicle models or design their own utility vehicles with this mix-n-match parts magnetic building set. 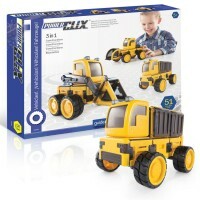 PowerClix 3 in 1 Wireless Construction Vehicles Magnetic Building Set has 53 pieces in traditional construction site colors: bright yellow and black. Install a PowerClix app on your smart phone or tablet and steer your finished models with the motorized, app-enabled piece. The Wireless Construction Vehicles set works seamlessly with the app, available in App Store or Google Play, for iPhone or Adroid devices. 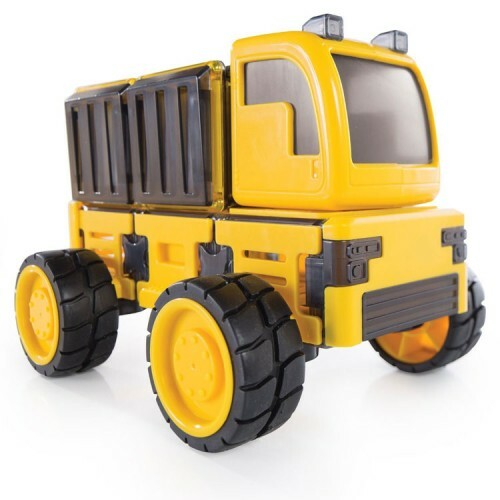 The young car lovers will love playing with the finished construction vehicles for their moving wheels, axels, loaders, and more. 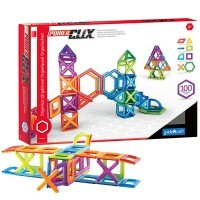 This wireless app-enabled set is compatible with other PowerClix building sets. Rechargeable lithium ion battery with charger included. 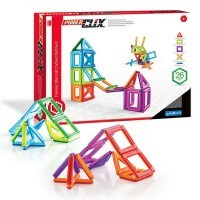 Dimensions of package 0.13" x 0.176" x 0.0275"
Write your own review of PowerClix 3 in 1 Wireless Construction Vehicles Magnetic Building Set.